Welcome to Smart-Kids Preschool! This is a crucial time in your child’s development. The Smart-Kids series will help you build on your child’s pre-learning skills while having fun with the Smart-Kids characters. 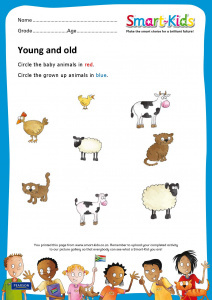 Follow the links to find tips, activities and downloads especially tailored to your preschool child and you! Tell your child what you enjoyed about your school days and talk positively about starting school.